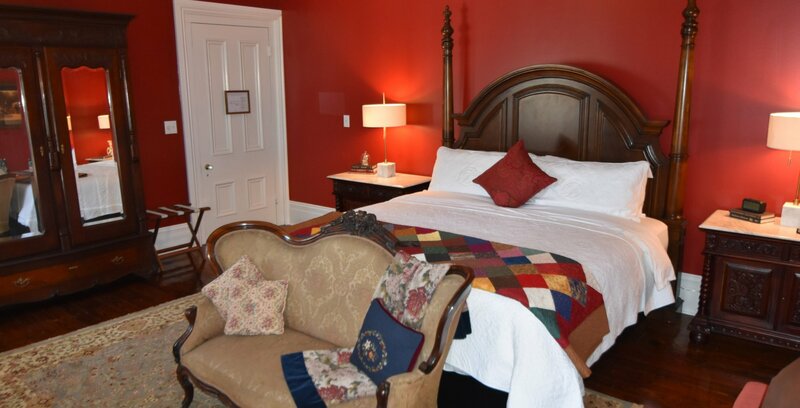 The Scarlet Oak Suite, rich in color, is named after the mighty red oak trees found throughout Tennessee. This spacious suite, located on the second level, boasts an oversized King sized headboard and bed arranged to admire the grand fireplace in the room. A large armoire, period tables and seating complete this grand suite. The attached bathroom has a large claw-foot tub from the 1920s complete with shower and original built-in closets in the bathroom.